Want to get paid android apps for free. 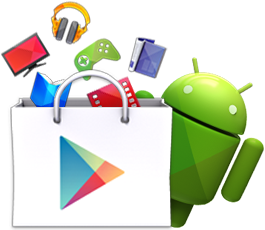 Top alternatives for Google Play Store. If you are searching for the alternatives to the Google Play Store, this post is something you would definitely want to read. The alternatives mentioned herein serve as secondary marketplaces from where you can shop or get access to the applications. Sometimes, the apps that are paid on the Google Play Store are available free of cost on the app stores given below. Blackmart is a black bazaar of Android apps and the best store that allows you to download nearly all free and paid apps without a Google account. Like the Play Store, Blackmart too has categorical divisions of just paid only. Similarly the top apps are displayed on the top based on their ratings. The app store comes with extremely handy easy-to-use user-interface which is incredibly sleek, smooth and user-friendly. The specialty of this market is that it also allows you to download YouTube videos to their devices without the need of any additional software. GetAPK Market is another brilliant app that allows you to download thousands of special free apps and games directly in APK format. It allows you to download apps or games for your Android mobile or tablet from the browser without need to download the market. 4Shared is another great repository with a sleek, light and user friendly interface that can search and download just about anything from 4Shared database at free of cost. However you need to make an account on4Shared to use the app. Since the app publicly hosts the files uploaded by the users and makes them available through the cloud, it is a legal app and available as a download on the Google Play Store.